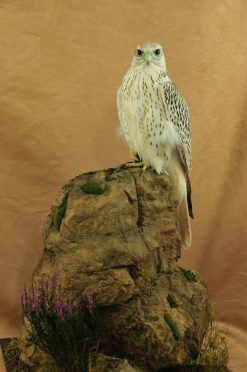 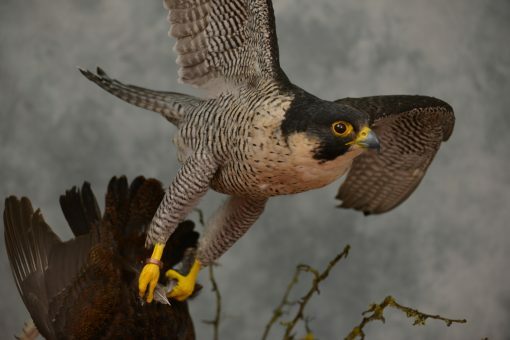 This bird is the worlds fastest bird and having seen this impressive raptor in a stoop on a pigeon not as portrayed Peregrine Falcon Catching Grouse (that would have been nice). 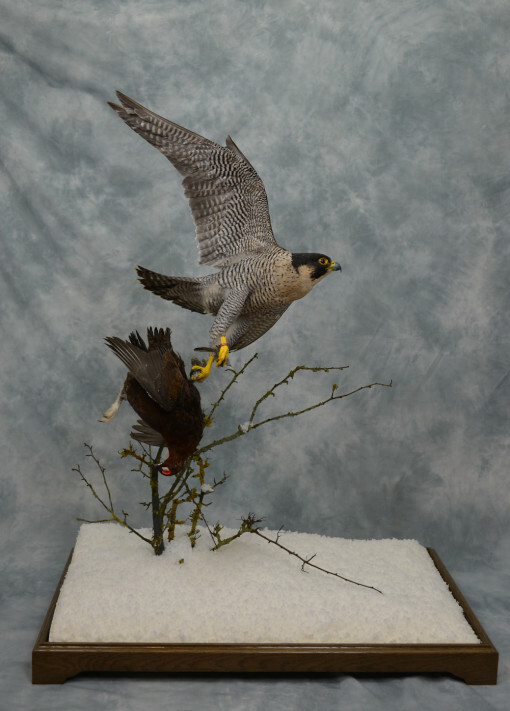 In this case the pigeon won having been stooped on from a great height and with a second attack from underneath the pigeon had nerves of steel and waited for the last nano second prior to being struck and then twisted in the air with the Peregrine falcon hurtling past unable to turn sharply enough, then a very sustained level chase, this is were both birds are equally matched I can admire the beauty of both birds and their amazing balance the peregrine has with it’s prey. 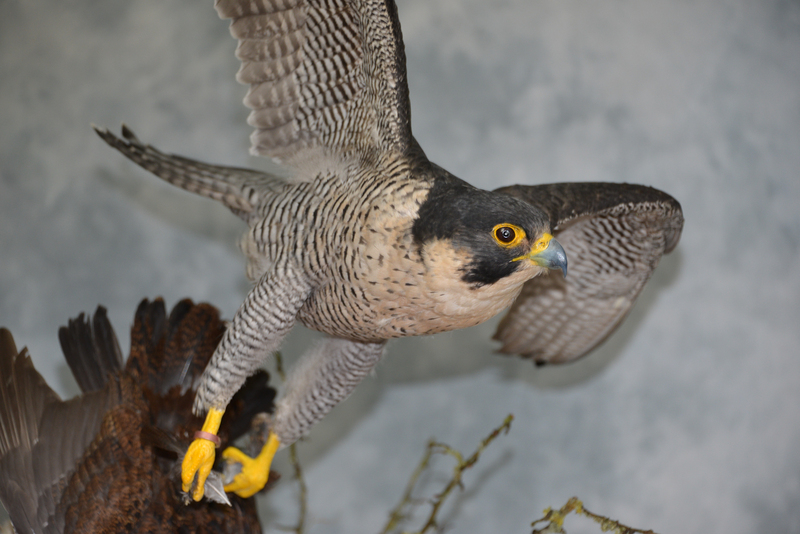 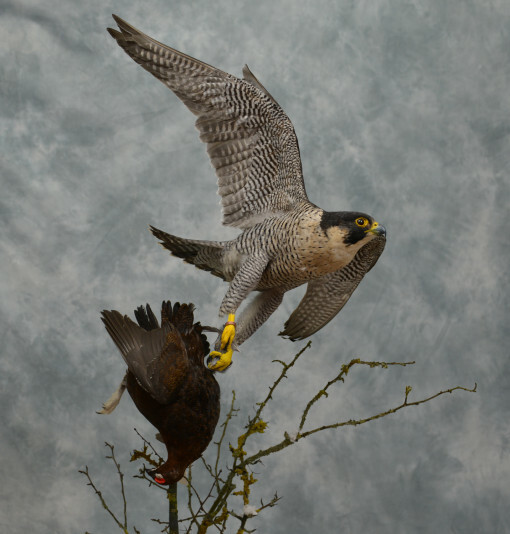 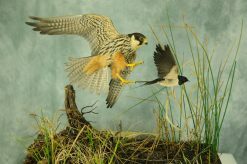 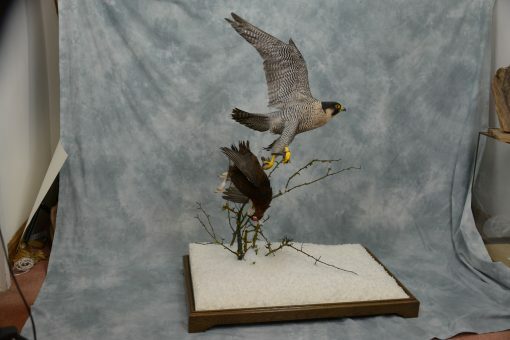 I must admit I did think this chase was seriously weighted in the peregrines favor but now appreciate the delicate balance is between the falcon and it’s prey. 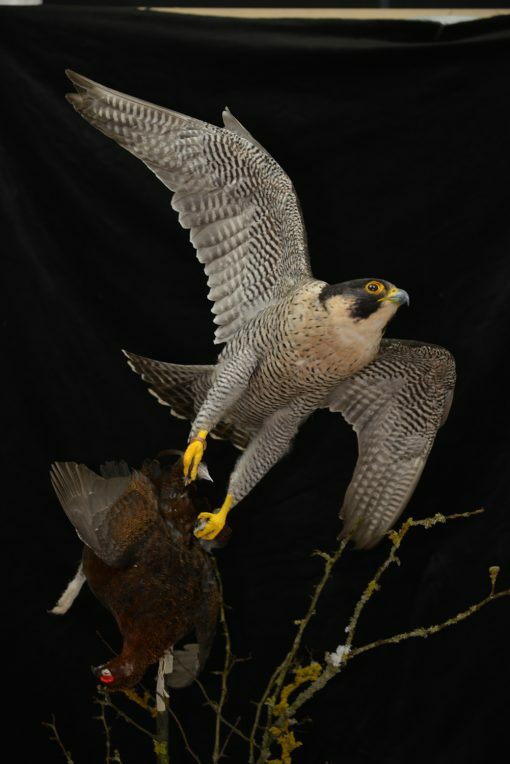 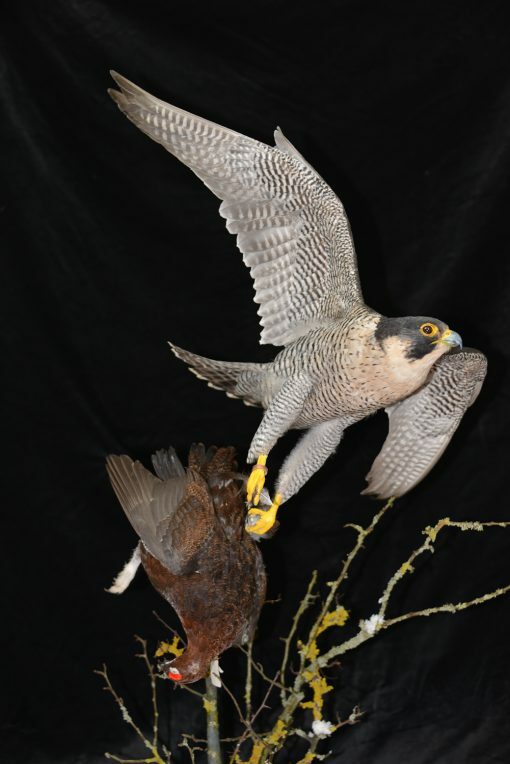 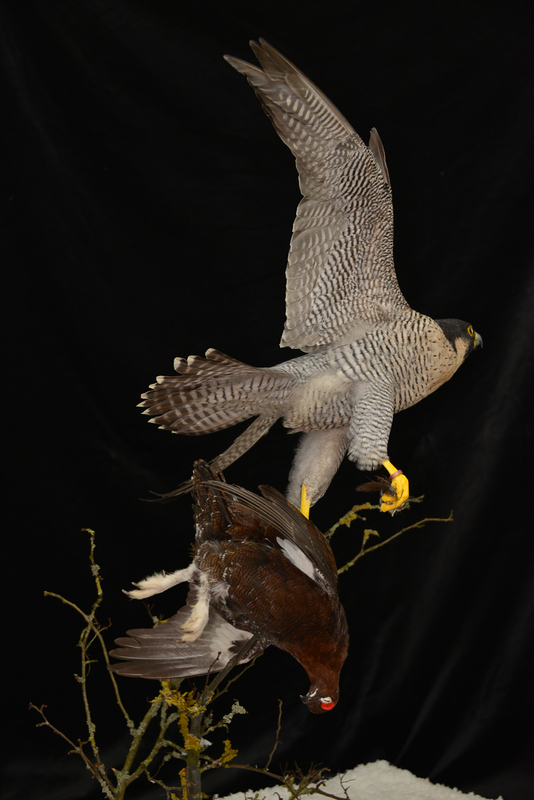 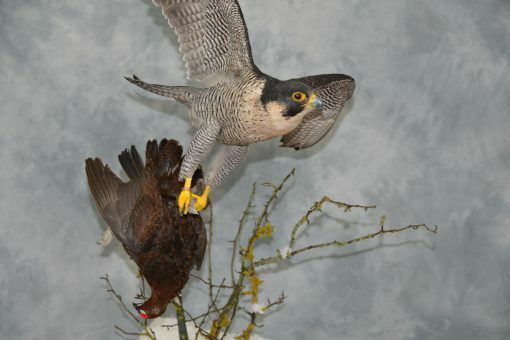 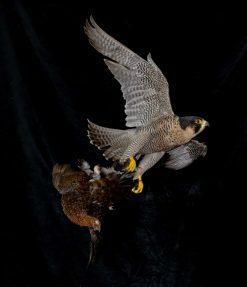 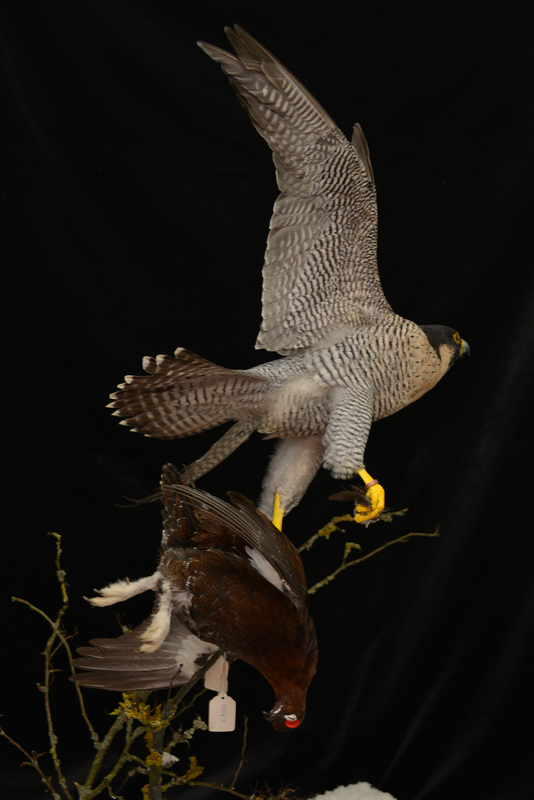 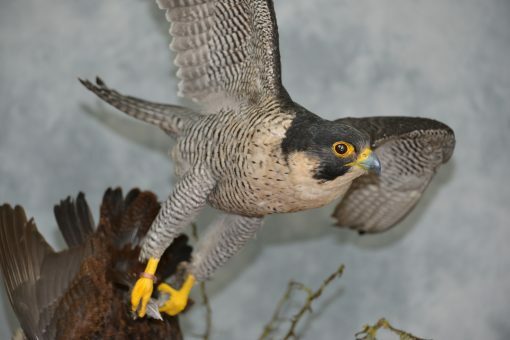 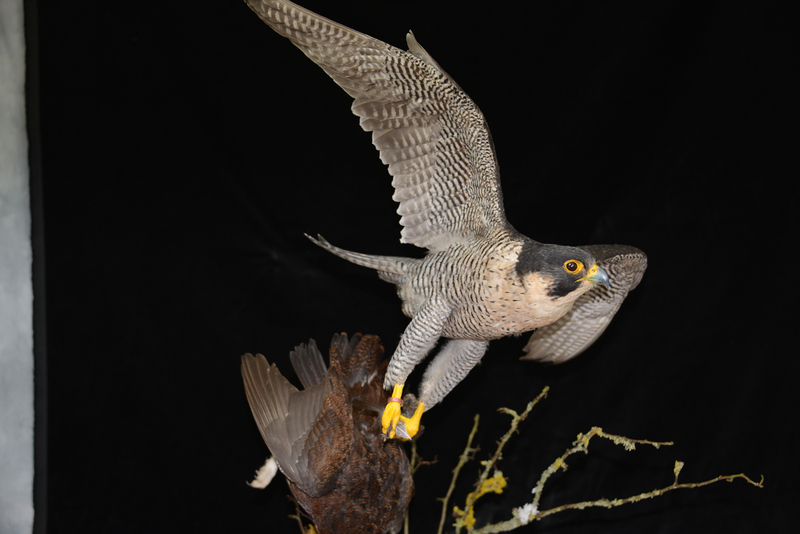 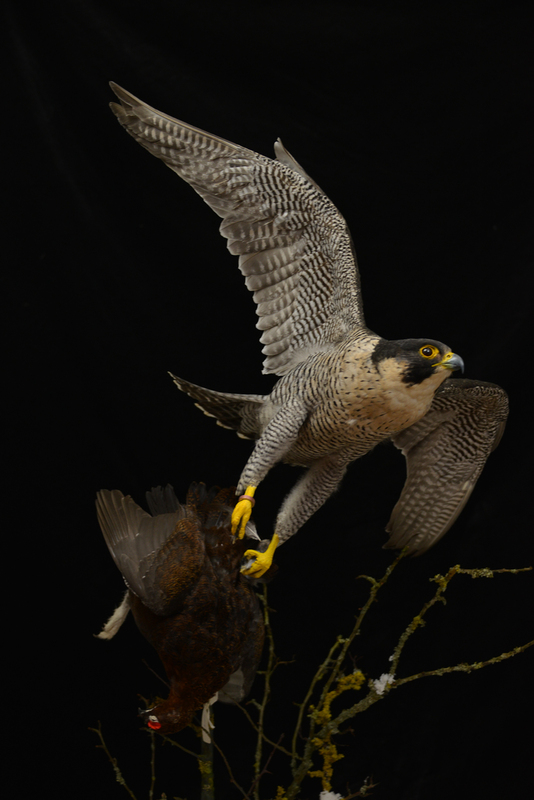 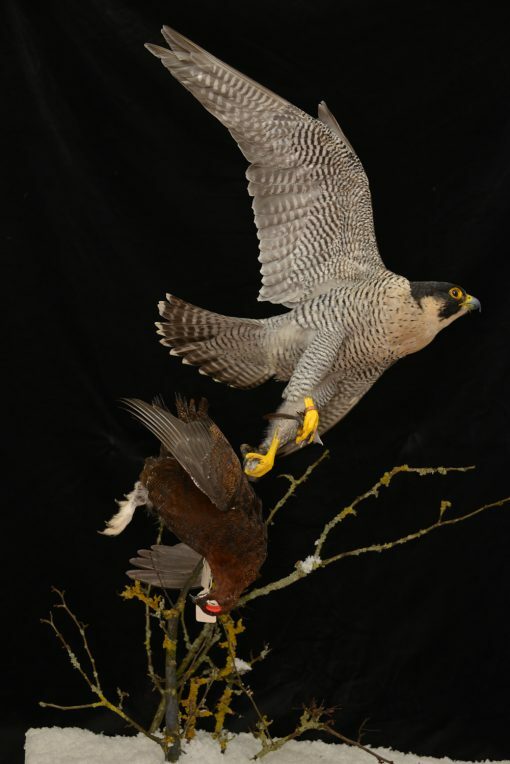 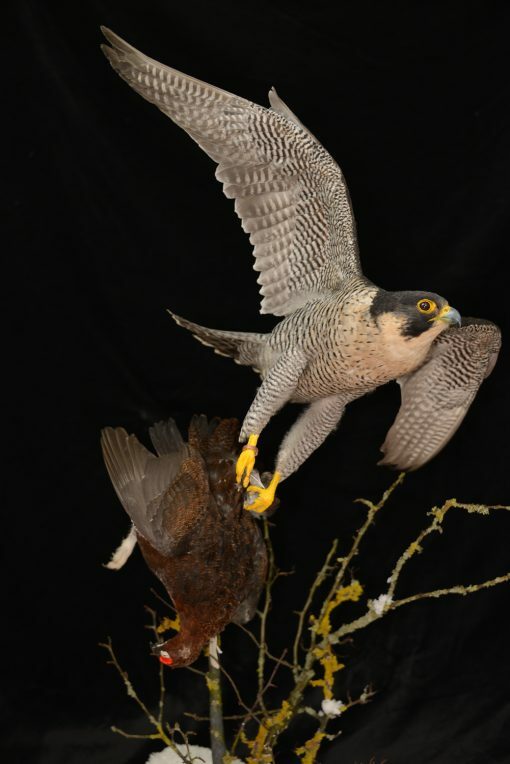 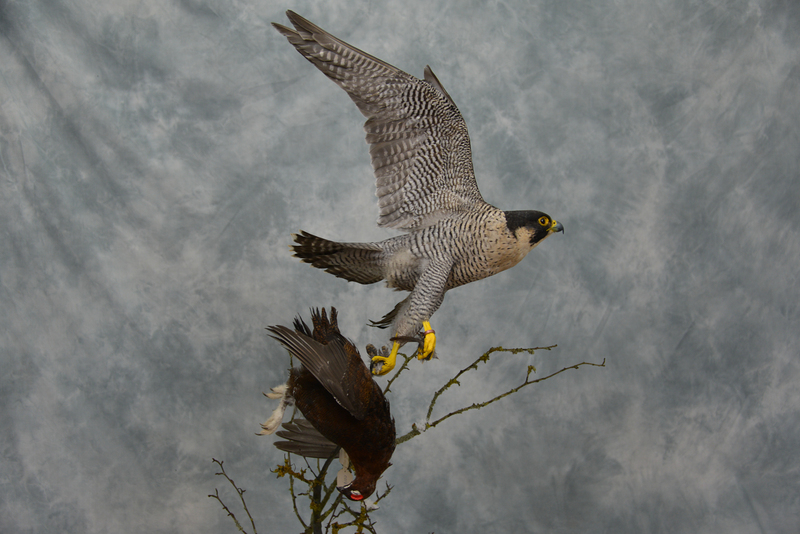 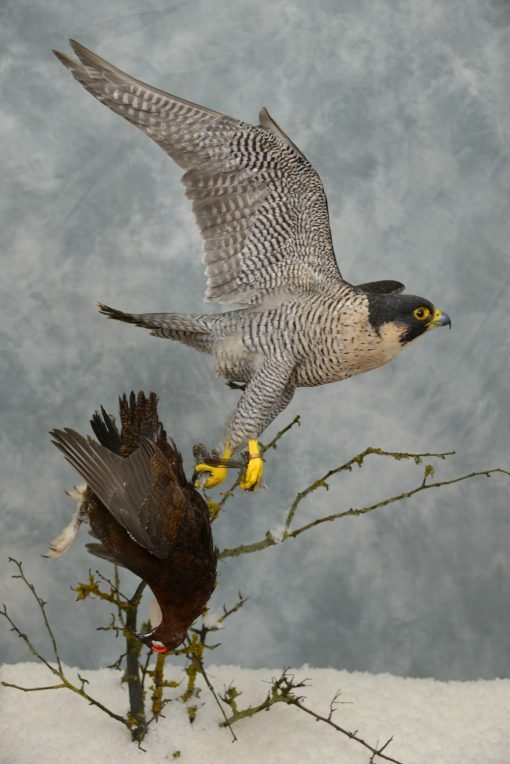 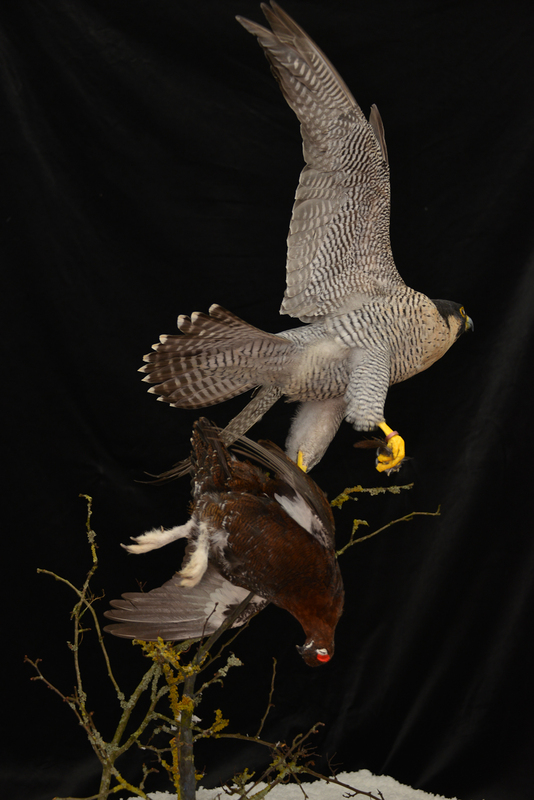 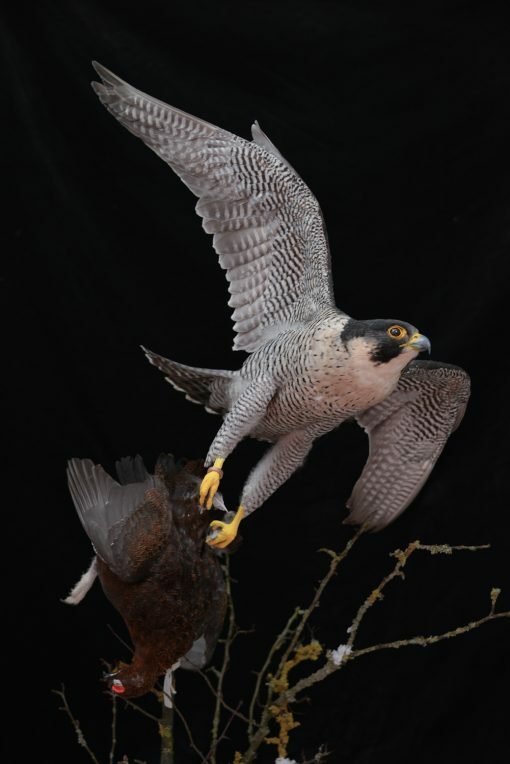 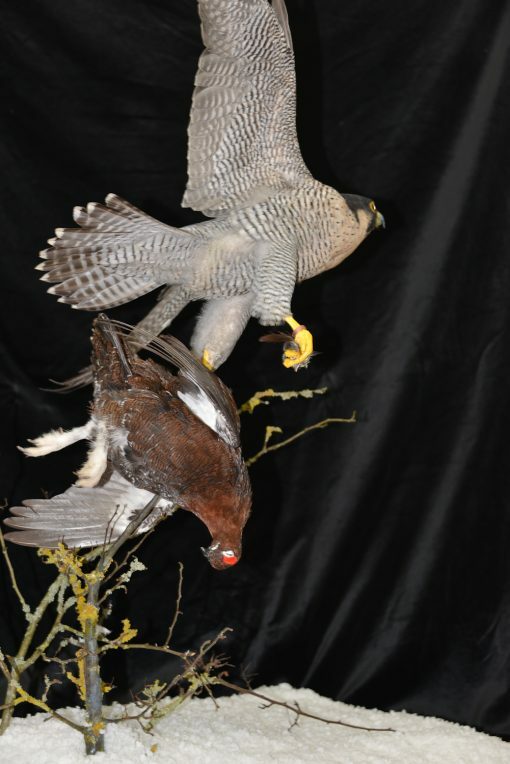 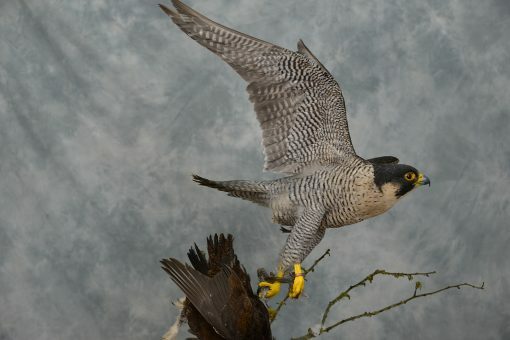 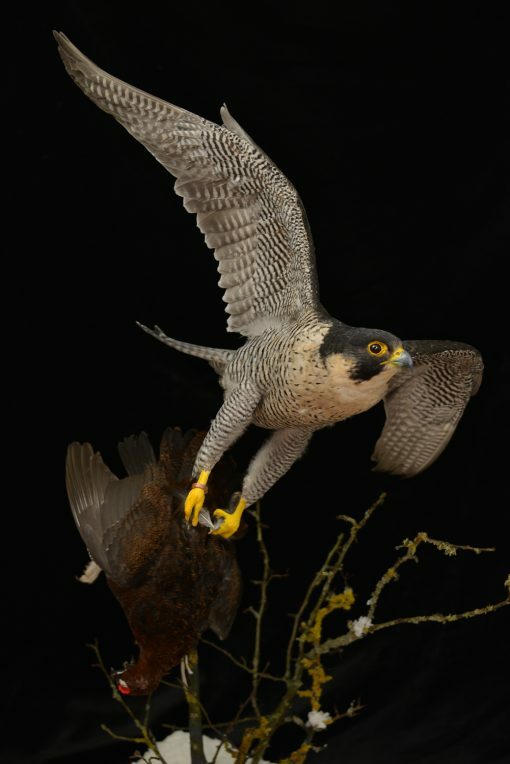 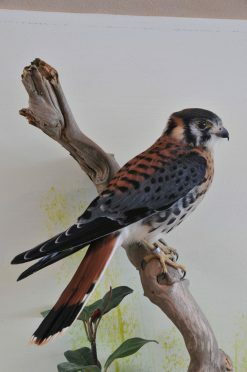 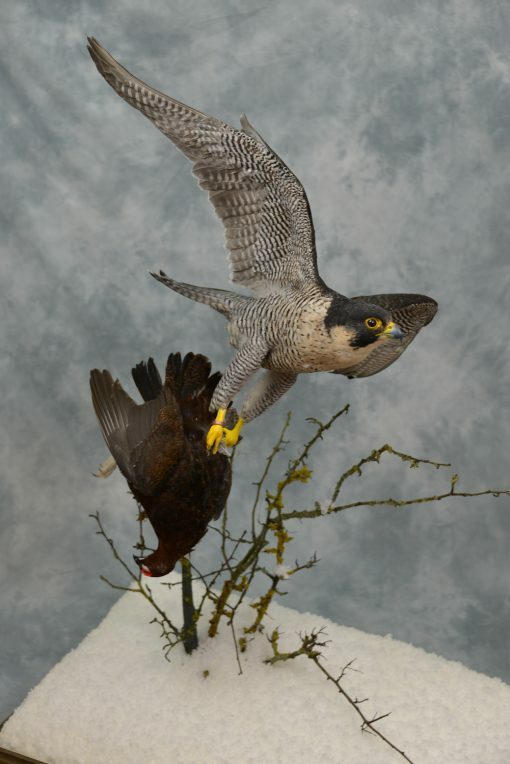 This piece of raptor bird taxidermy is my attempt to capture this scene. This bird is mounted on a snow scene and is ready for a glass cover not supplied but can be ordered.